​Welcome to Jayden's Joy! Hello everyone – WE HAVE RELOCATED to Mississippi. I am Foster/Adoptive Parent from MA who has relocated to MS. MA is rated the second best child welfare state , while MS is rated dead last at 50. According to a new study released by the Annie E. Casey Foundation Kids Count Data Center, Mississippi ranks last among all U.S. states in overall child-welfare. I ask you to read the blog and see the videos. PLEASE help me to help these children. Jayden's Joy closet, Pride & Joy Foster Child Closet has opened! We are in Hernando, MS and we work around YOUR schedule, we know how tough a foster parent's schedule is. We are a proud member of NFPA which is the National Foster Parent Association and we are also a member of NACAC North American Council on Adoptable Children. The North American Council on Adoptable Children (NACAC) supports, educates, inspires, and advocates so adoptive families thrive and every child in foster care has a permanent, safe, loving family. I have been accepted on to the Governance Council for NFusion which is under Region IV and the Attachment and Trauma Network. In addition, we are involved with other organizations who also work tirelessly to help the children and youth in foster care. We are also Special Education Advocates and are proud members of COPAA, Council of Parent Attorneys and Advocates and are listed in their directory. i am now a Certified Peer Support Specialist Professional in the state of MS. Our son didn't have a happy beginning, but he will have a happy ending! 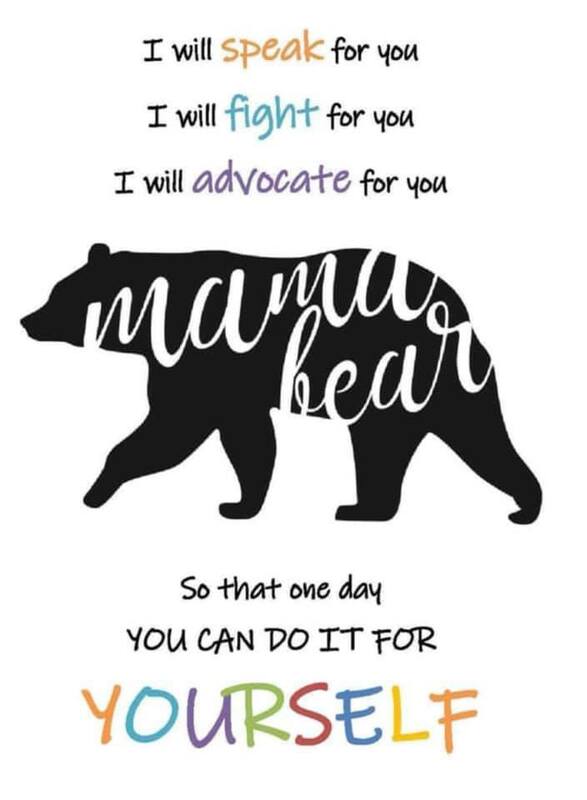 In addition, we have started another website, be patient, its called www.untilyoucan.com (Feb 2019) This is to help parents advocate for their children UNTIL THEY CAN do it for themselves. If you need help with IEP or services for our child, drop us note and we can help or direct to you to someone who can. This site is dedicated to our son, whom we adopted from foster care. We became a foster parent advocate by need. I wish there had been a page like this when we started our journey. But now we are here to share what we have learned. We are here to help you navigate, support, and work with foster parents so that the foster children in their care receive the services they need when they need it. There are many services, agencies, and supports in place that are already available to foster parents that most just don't know exist or how to request their services. This is why we are here to help. If you find yourself at a standstill, can't figure out services or where to look, you have come to the right place. I have walked in your shoes, I have been where you are, and it can all work out. YOU must be the family voice a child in your care needs. Just an FYI, until then end of 2017 when I lived in Boston this website was created, so a lot of the info is for Massachusetts, however there is still a lot of information that could be helpful, in any event I'm still here to help. In October 2015 I was voted into the Family Advisory Council with The Department of Children's and Families in Massachusetts. I was elected to the board of SPEDPAC, the Special Education Parent Advisory Council with Boston Public Schools. I look forward to working with them to make sure all children are safe and have foster parents who can provide the security these children need. I am working double time to acquaint myself with the different MS state laws so I can be the advocate and resource that foster children and parents need. FYI 445 AM CST I am up doing zumba during the week, you can join me online, ITS FREE, when you take in a child from care you need a release and endorphins are a natural anti depressant! Send me a note below and I will invite you into the class, FYI you must use a chrome browser. AS OF the end of October 2018 I was sworn in as a CASA in the State of MS, that is a Court Appointed Special Advocate for foster children. I am also a SCORE Branch Leader in Hernando,MS. Yes, I also have career-I am Director of Operations for a global team. But my husband and myself want our son to know because he was born, he made a difference is so many lives. Feel free to email me: terry@jaydensjoy.org. As always, your email will not be shared without your consent. If you need to contact me – suggestions, questions, or Hello!